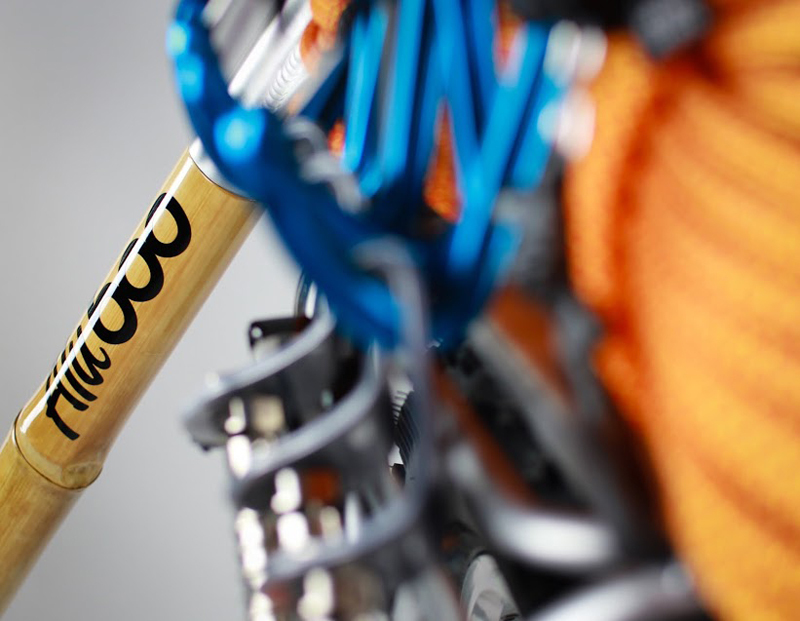 Mountaineering is a gear-intensive sport and can take hours or even days of hiking to approach a climb. 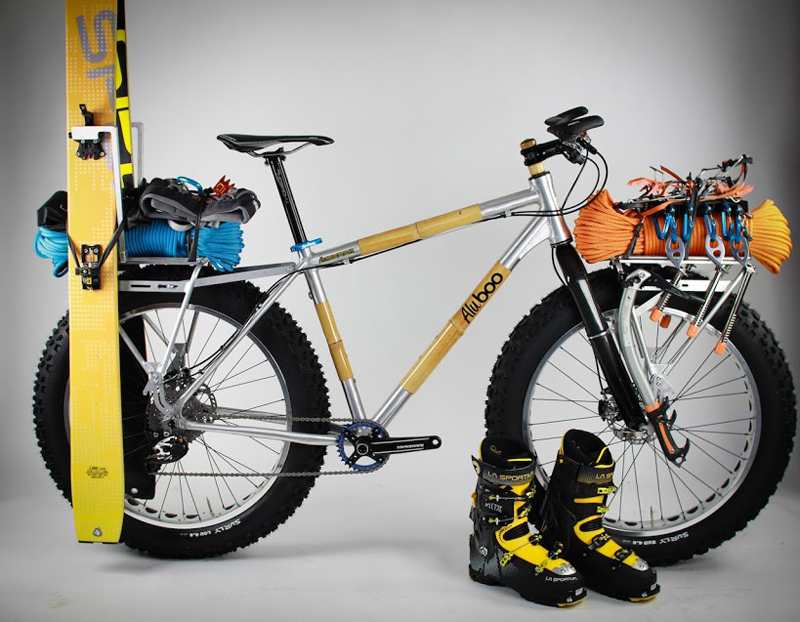 The handmade bike brand Boo Bicycles hopes to make the trek to the base a little quicker (and more fun) with the new Ski Mountaineering Bamboo Bike. We got a scoop on the bike, which the brand is launching today at the North American Handmade Bicycle Show. 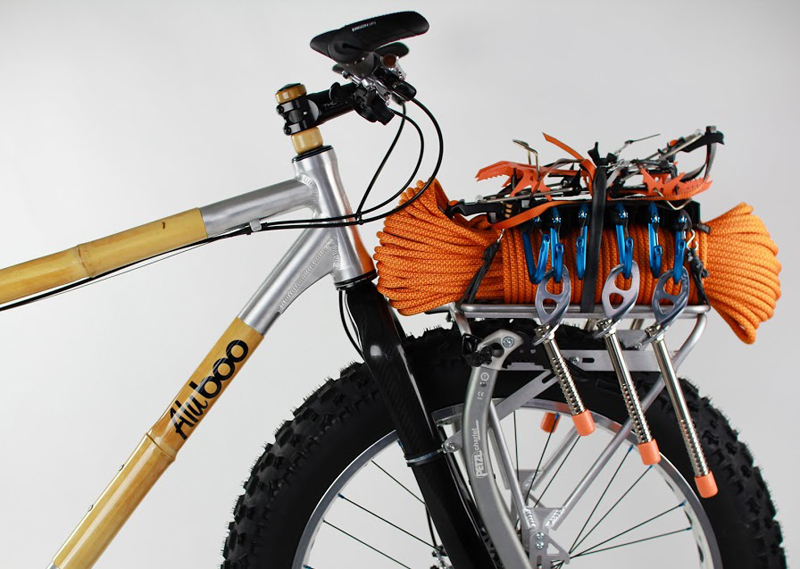 The frame is part bamboo, part aluminum fat bike aptly named the Alubooyah. 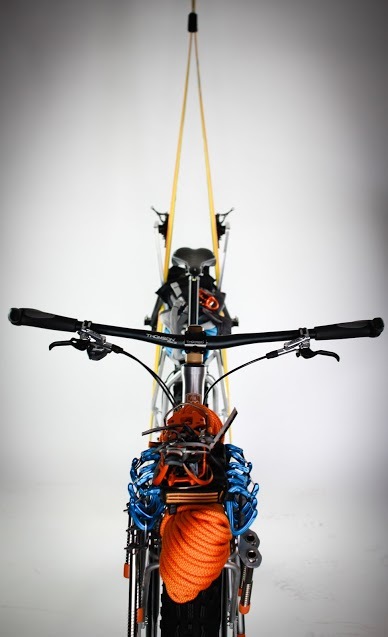 There isn’t a price set yet for the complete build, but the frame (with an aluminum fork) is available for $895, which is quite the deal for a handbuilt design. 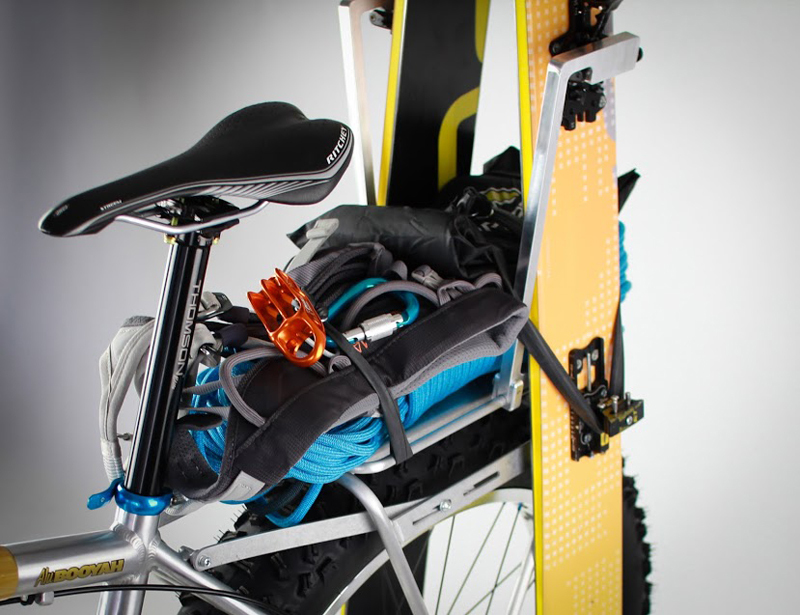 The bike is stocked with everything you need to get up the mountain. 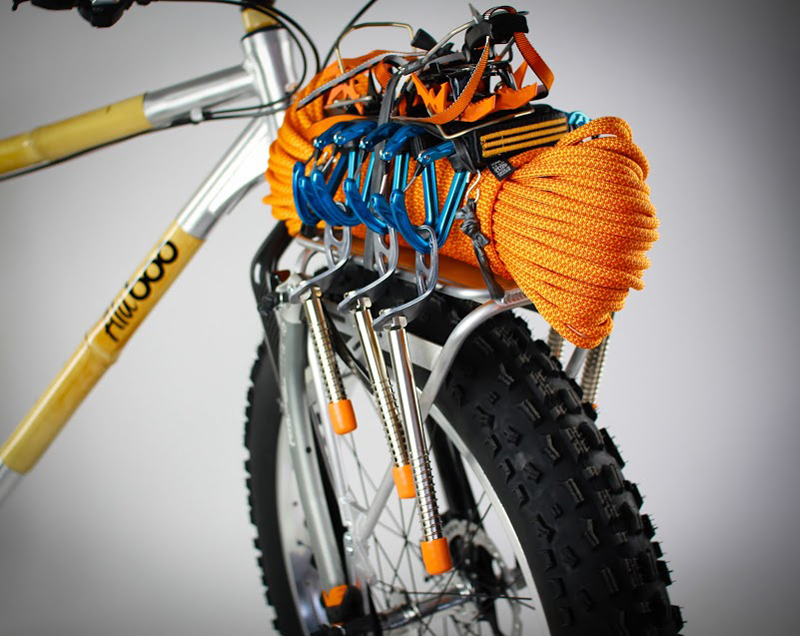 Frame racks made by Old Man Mountain turn the bike into a gear mule. 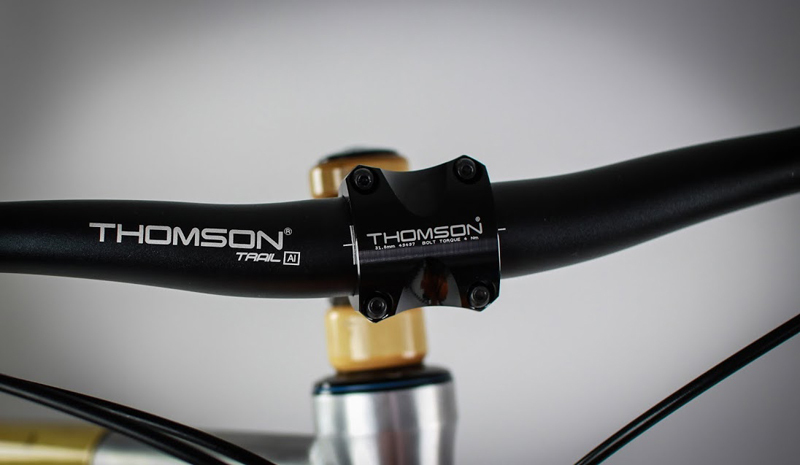 On the bike is a Shimano XTR 1×10 group set with a Race Face crank. 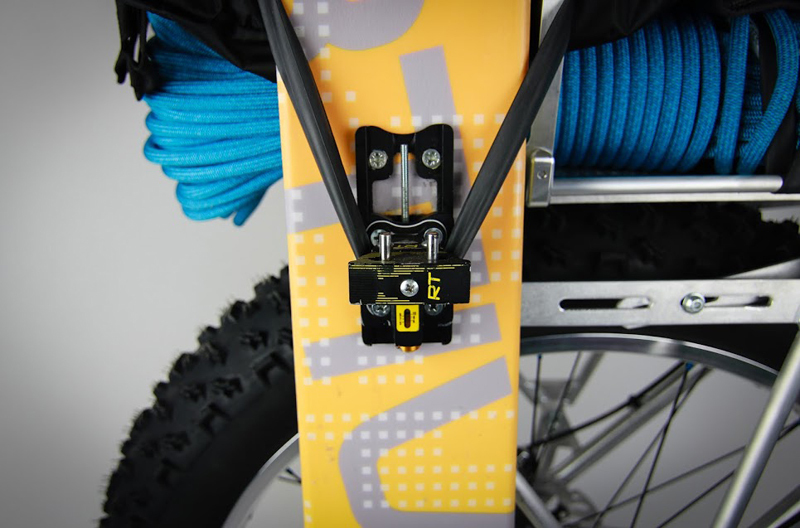 “The rotors are Shimano Ice Tech, with radiator brake pads to handle the heat created from stopping this rig when fully loaded,” Lapenna added. 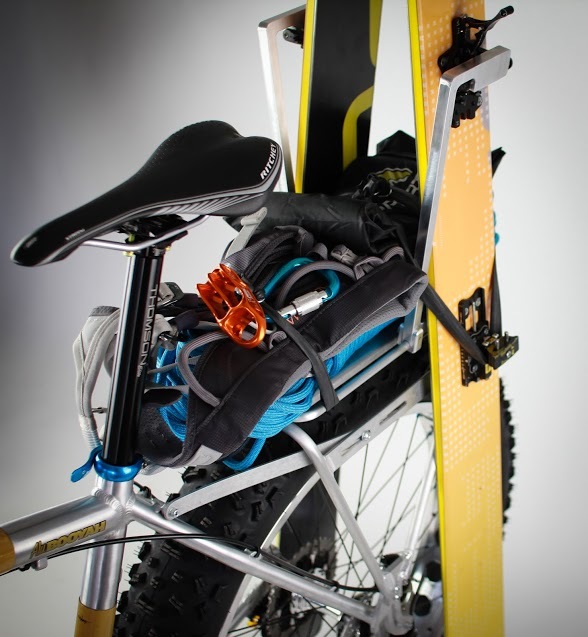 The bike on display this weekend has Lapenna’s custom gear setup, which includes skis from La Sportiva and Petzl ice climbing gear.